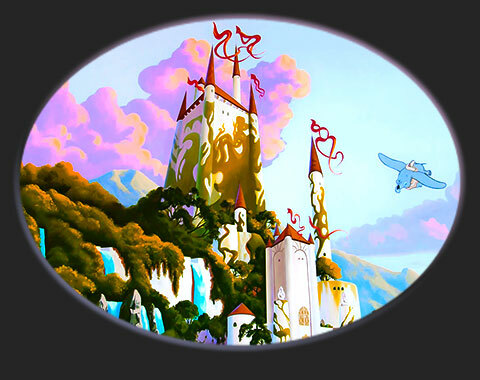 This Disney style mural was painted by hand, directly on to all four walls of this medium sized room. The mural, painted over four walls, took 25 days to paint. Any quote for similar work would be based upon a similar timeframe for the work, depending on the size etc. Of course you may qualify for a discount. I painted this Disney style mural in quite an old English property, and the mural, which is based upon Disney's "Enchanted" film utterly transforms the room it was painted in. With the client's autumn sunset colour choice it now is a vibrant exciting space filled with wonder for her newborn baby. The work took 25 days. Any quote for similar work would be based upon a similar timeframe, depending on the size etc. Of course you may qualify for a discount.